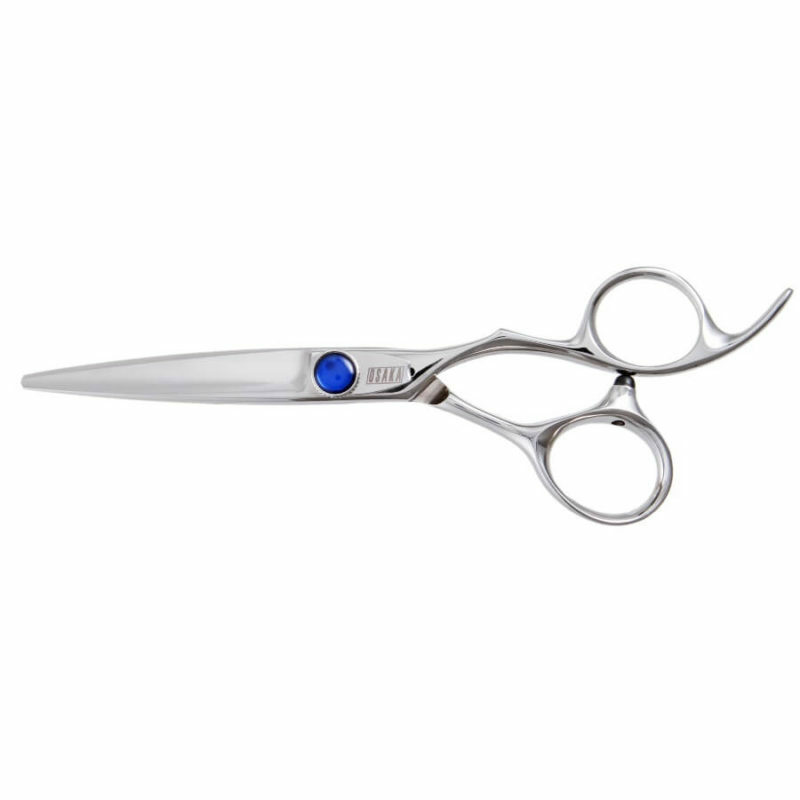 • Carefully crafted one by one, and made with the premium ATS 314 Cobalt. 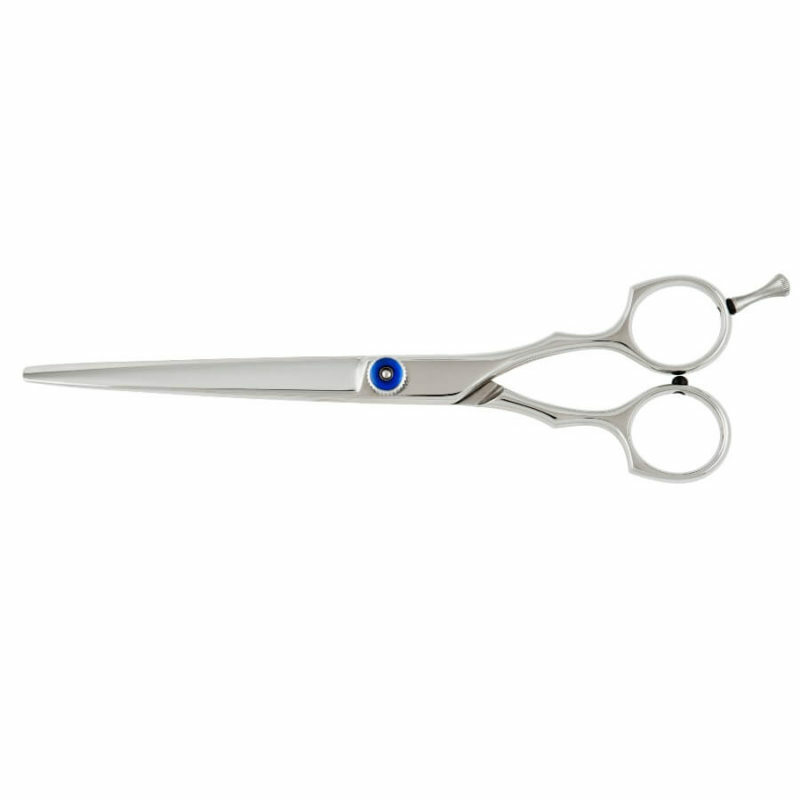 • Great for precision cutting and point cutting thanks to the lightness and control. 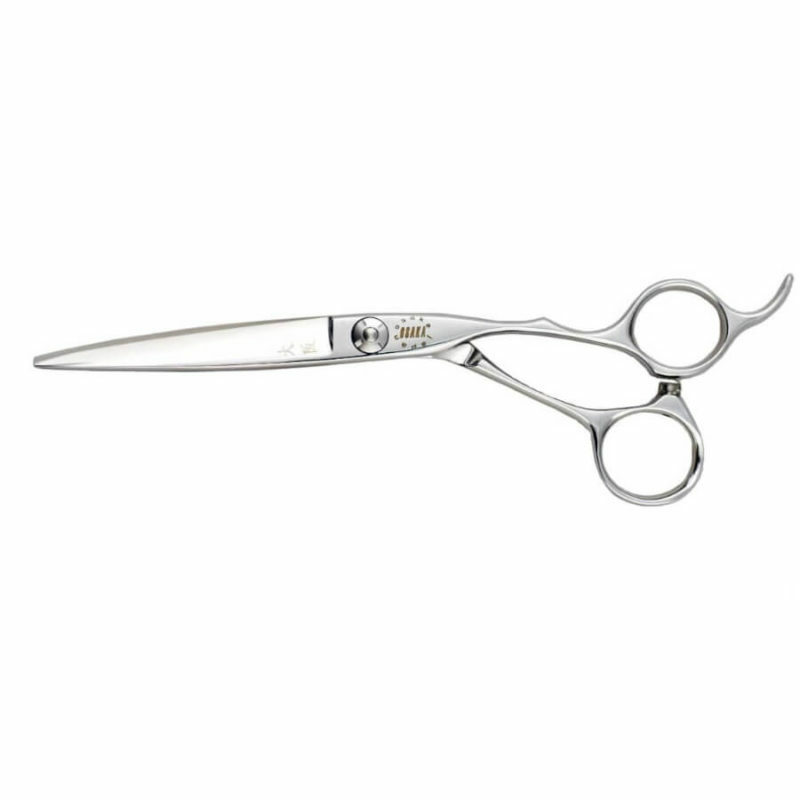 • Weight located into the handle to increase control. 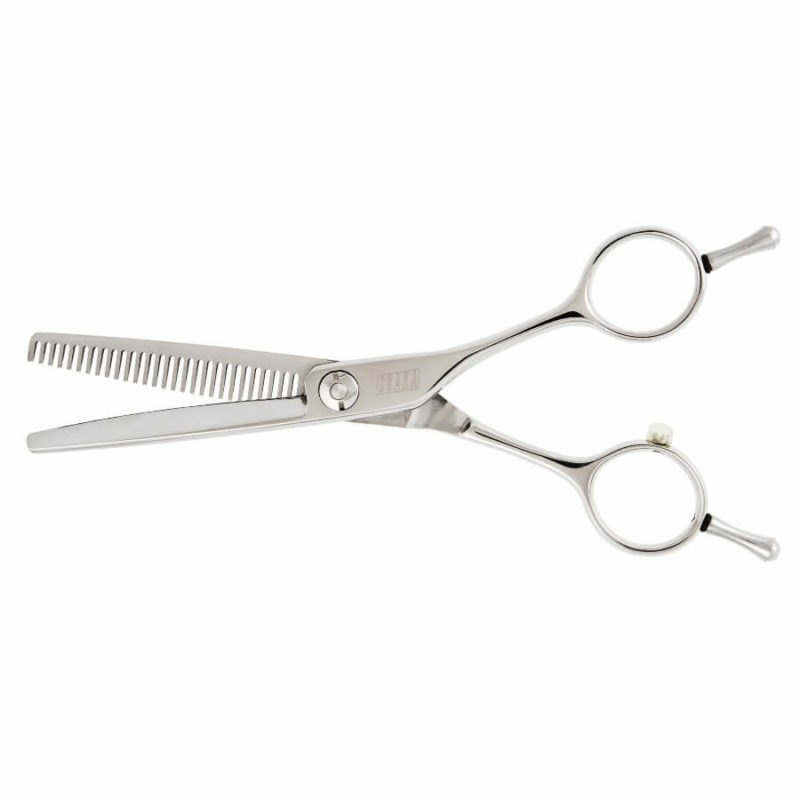 • Smaller rings for hairdressers with smaller fingers. 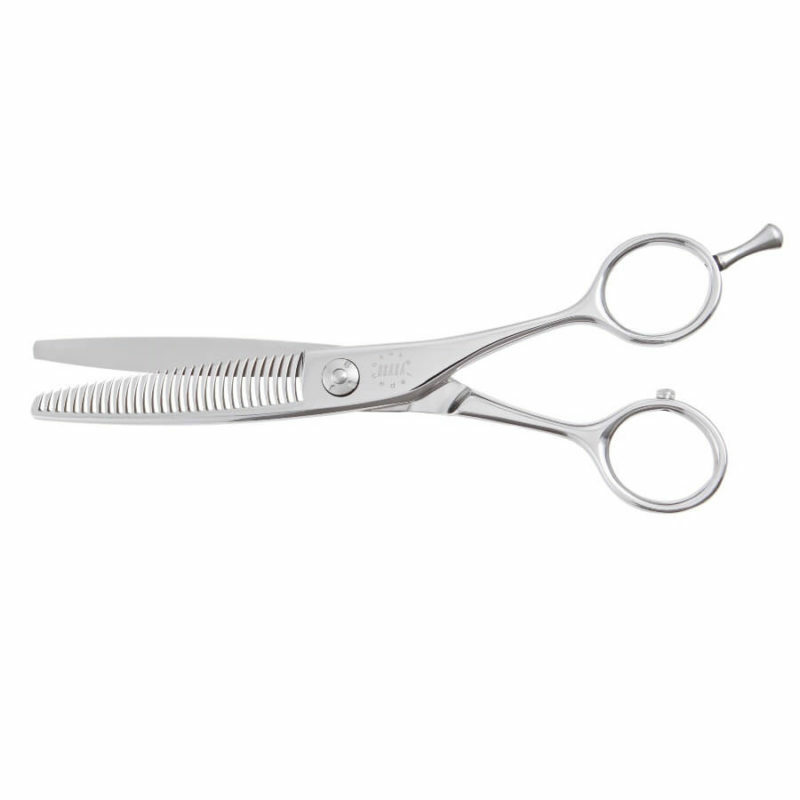 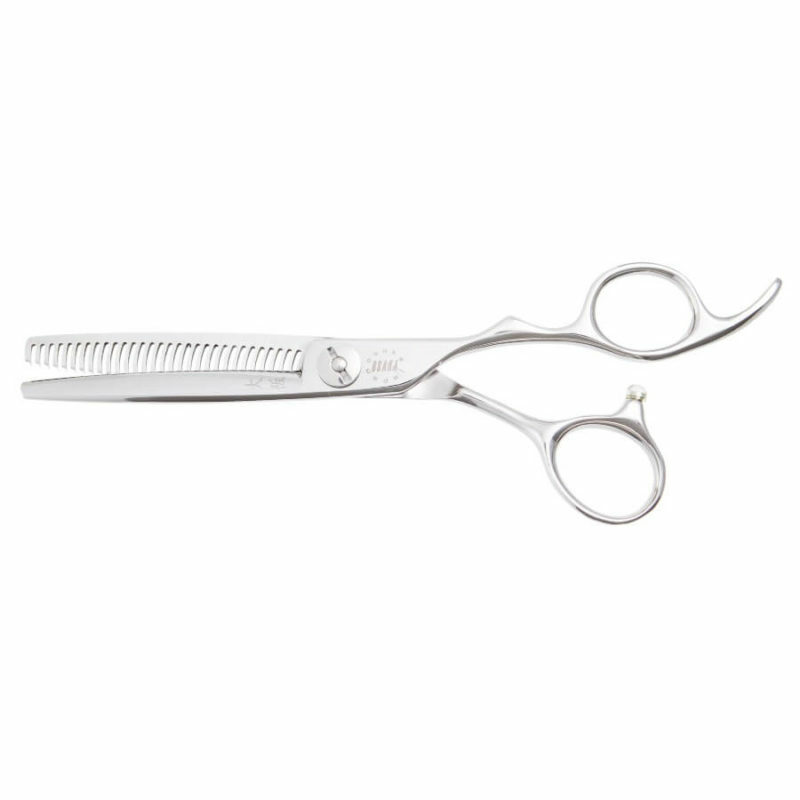 • Uniquely curved shape to reduce muscular fatigue for the elbow, shoulder and wrist while doing scissors over comb. 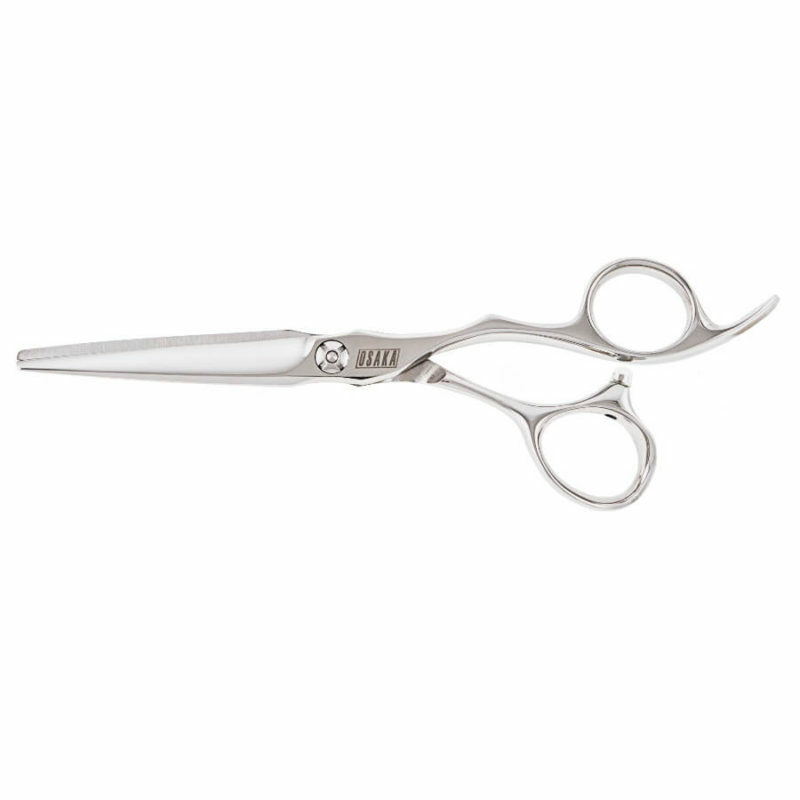 • Easier to reach hair when point cutting hair. 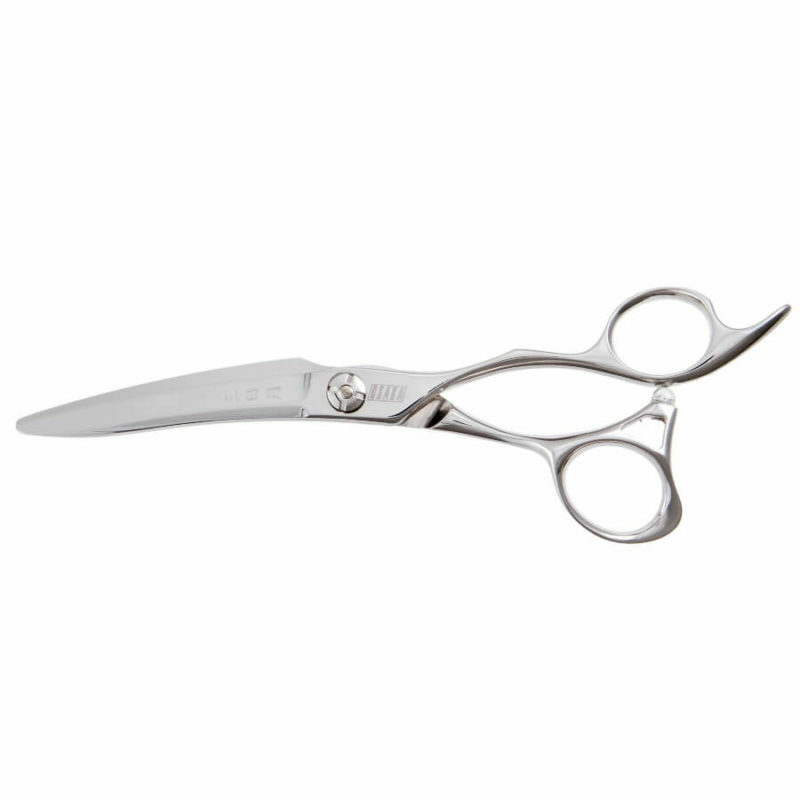 Osaka Sakura is a hybrid between a thinning Scissors and a straight Scissors (Having a Sakura is like having a thinning Scissors and a Straight Scissors at the same time). 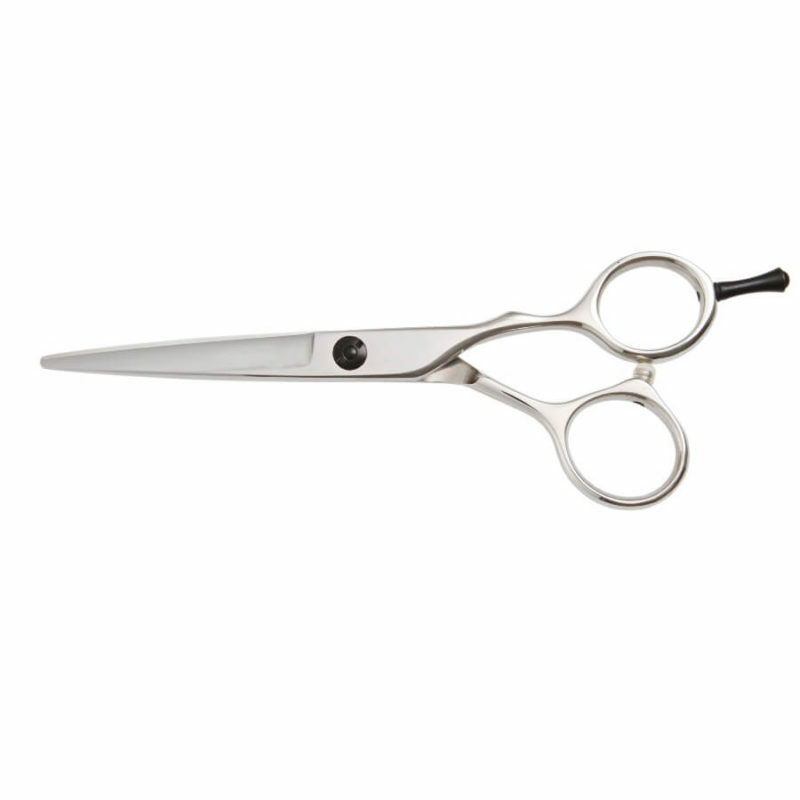 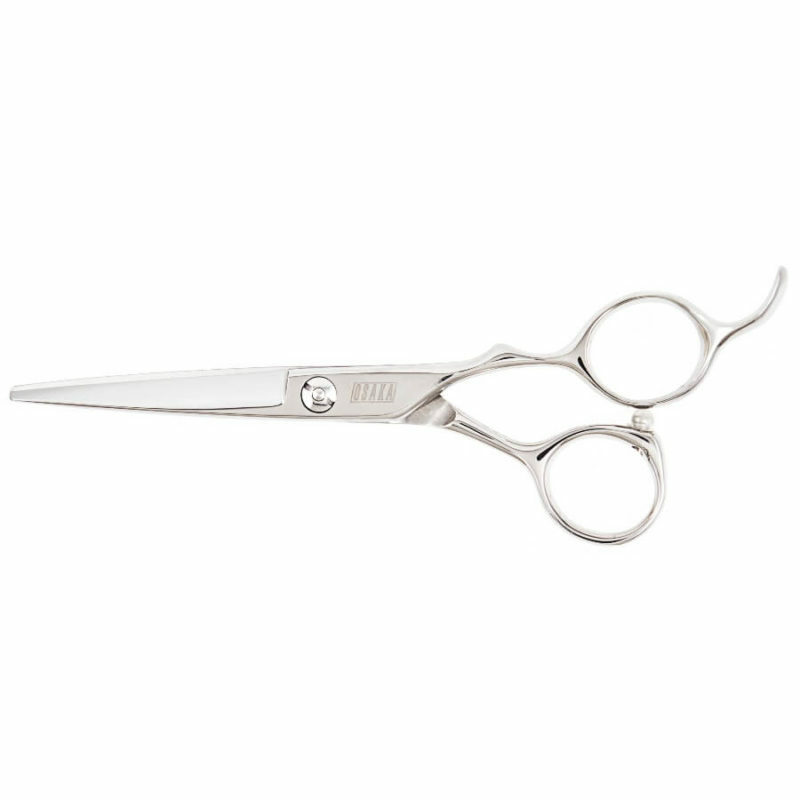 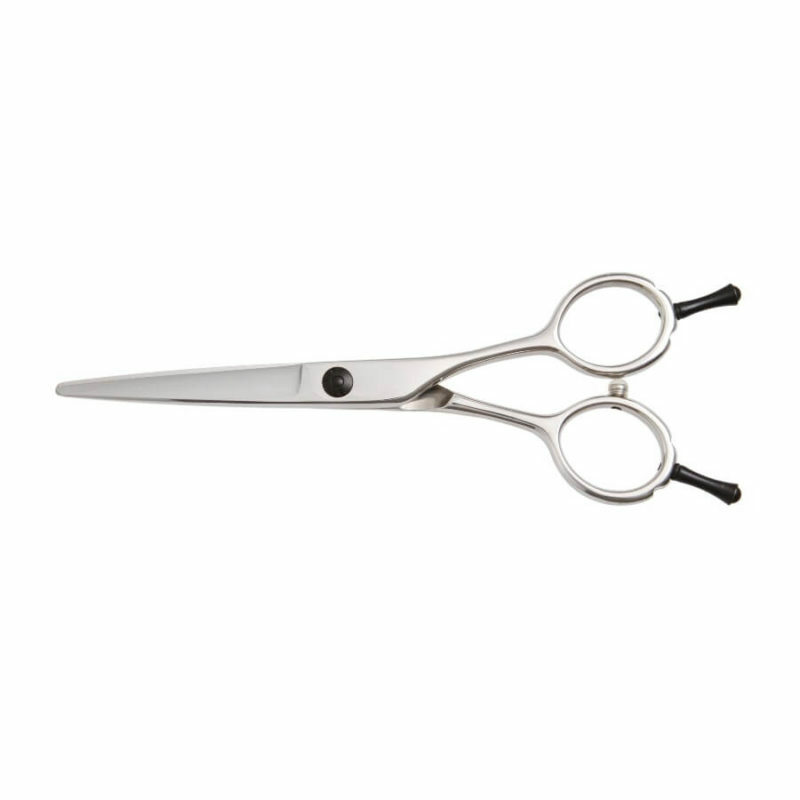 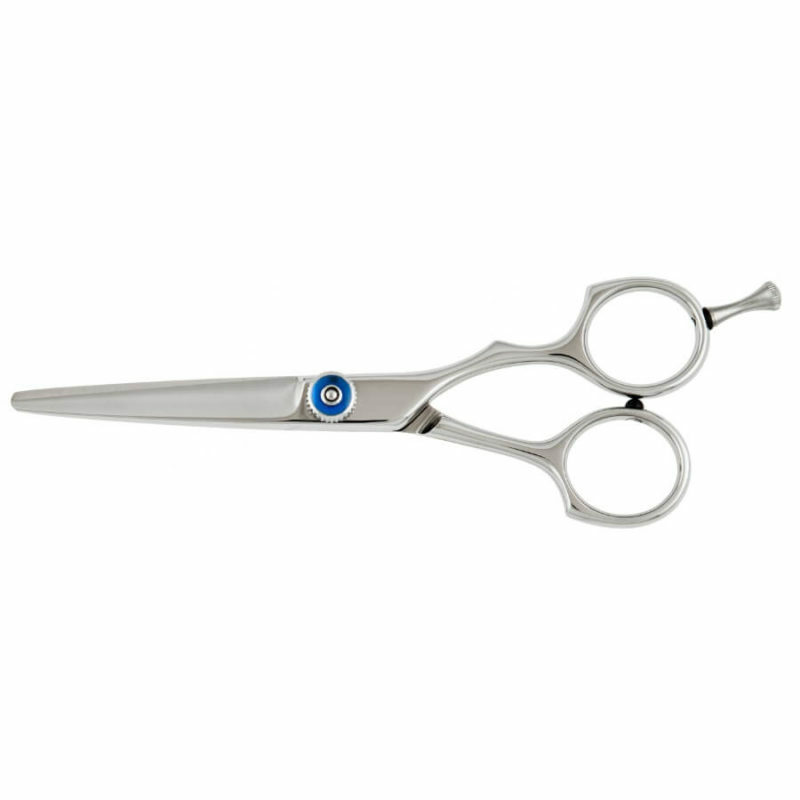 Particularly ideal for scissors over comb work for barbers as it eliminates the need to use both straight and thinning scissors to create a natural blend finish.